Okay, clear glass jewels. Oops 🙂 (I get so used to using both terms when I’m talking with peers and customers, I tend to think “beads” as the overall category.) Anyway. I was really happy with this earring design idea – and as you can see, it’s made entirely with clear glass… rhinestone… stones. There, does that sound better? Yes, I tried to get a good (read: flattering) pic of this design. And I used good lighting. But the sparkle in this pic isn’t just because of the lighting – I also tried to *not* intensify the shine. 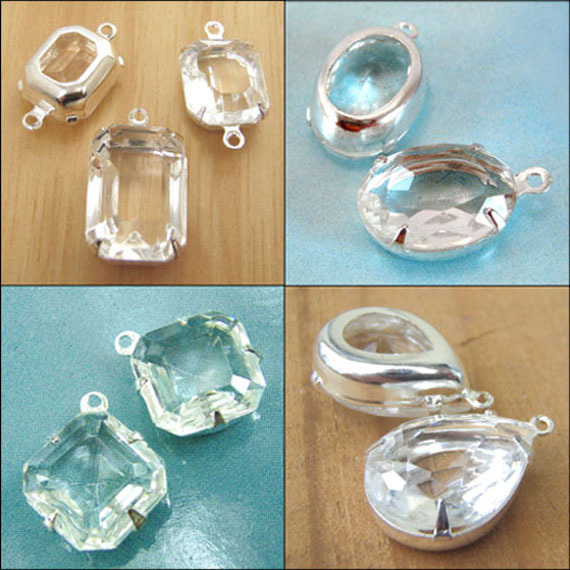 Clear glass, especially when it’s nicely faceted really does sparkle. It’s not a “loud” sparkle, but it shines! And hey, clear glass: it goes with everything. And it flatters a bridal gown without being too bold. It’s just a nice trick to remember: clear jewels really make a great piece of jewelry! 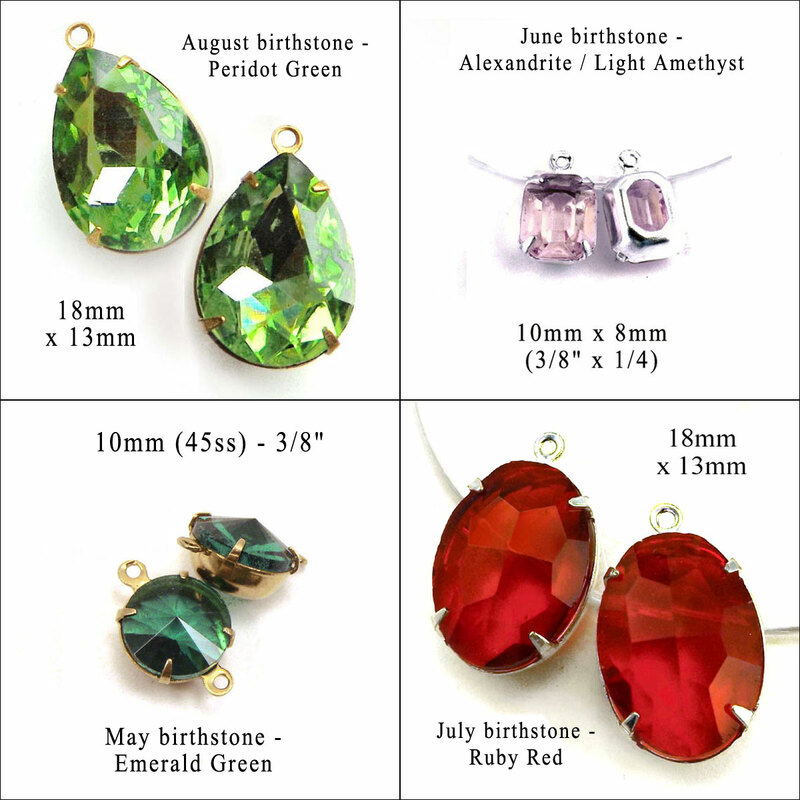 These are well faceted, pretty glass “jewels” – super affordable compared to precious gemstones – and honestly? 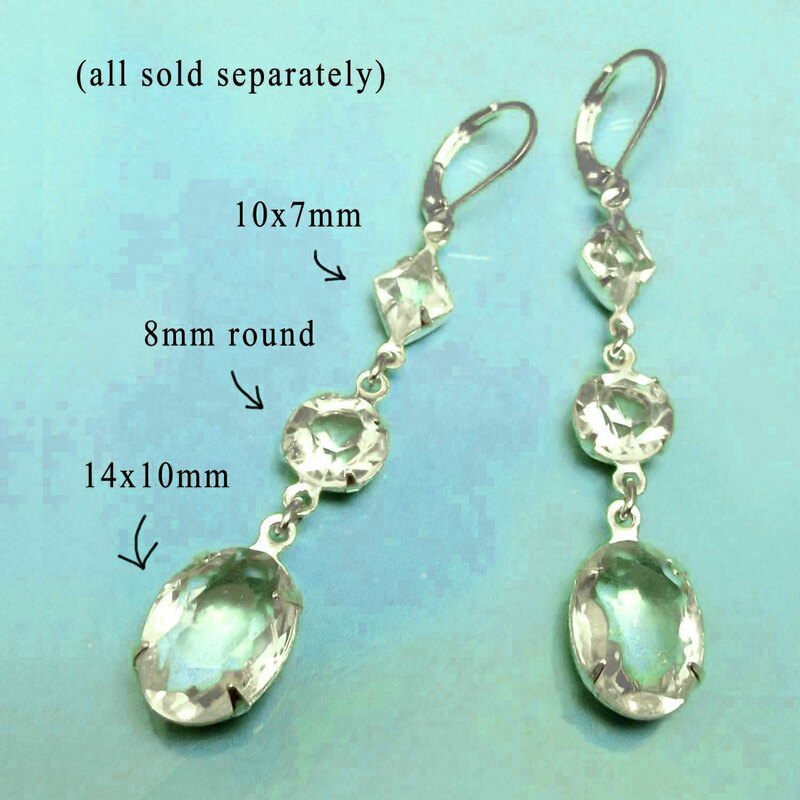 Unless you’ve got thousands to spend on one pair of earrings, these are going to be prettier! 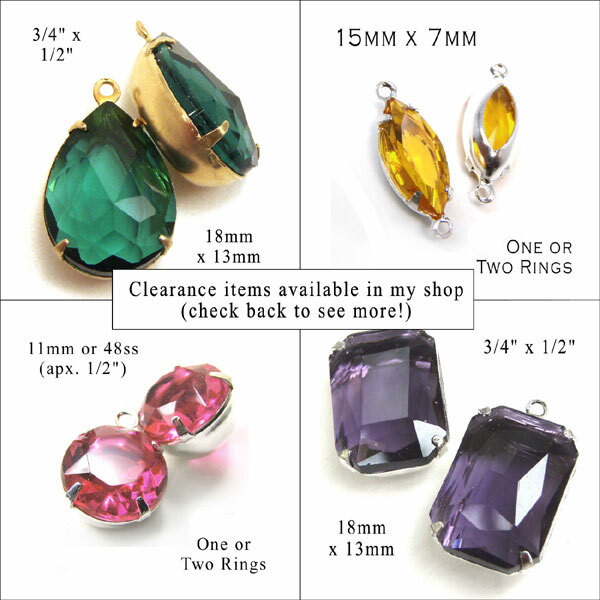 I wanted to show off a few more of the items currently offered in my “Clearance Sale” section”. These are really lovely glass gems, and I have a fair number left. When they’re gone they’re gone, but right now the pickings are good! The amethyst octagons are my favorites – but that could change next week. Anyway it’s not the ones I like the best that matters; it’s the ones YOU like best. 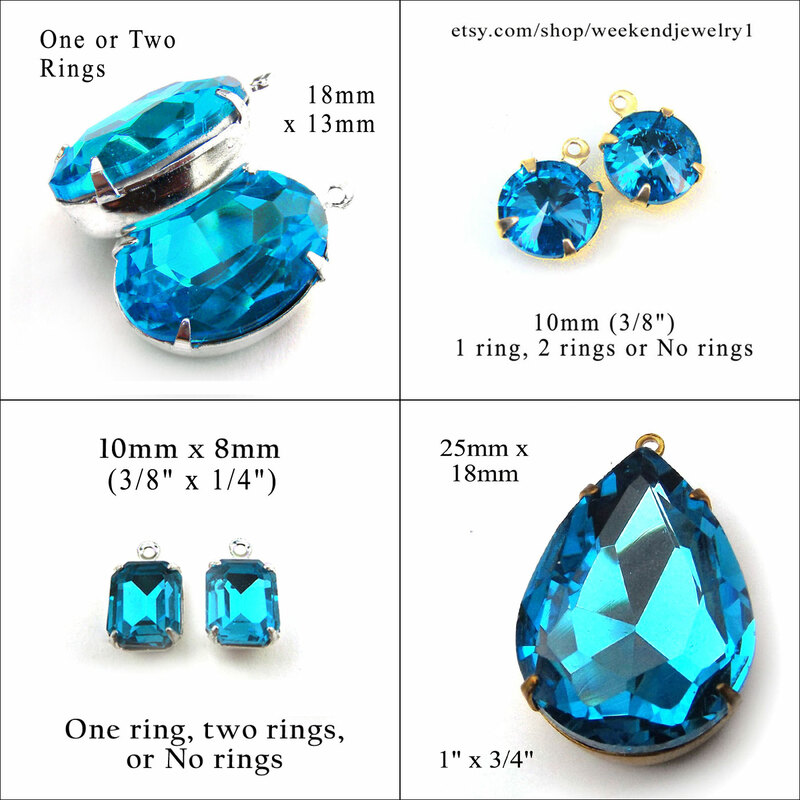 DIY jewelry supplies – on clearance sale – what’s not to love! 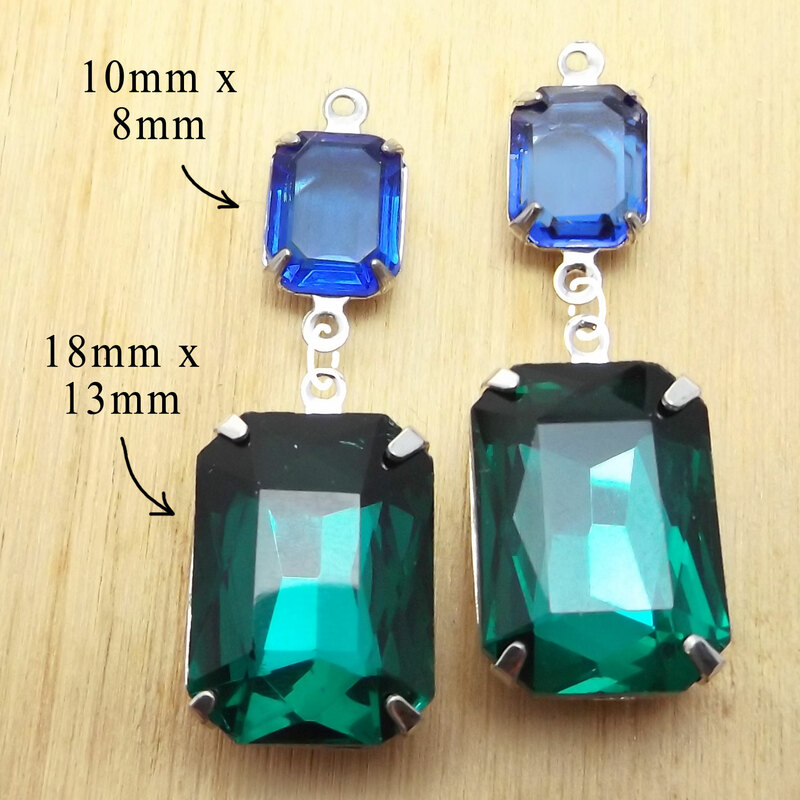 I just wanted to show you a DIY necklace design idea that combines ‘fine'(ish) jewelry components – with “just rhinestones”. 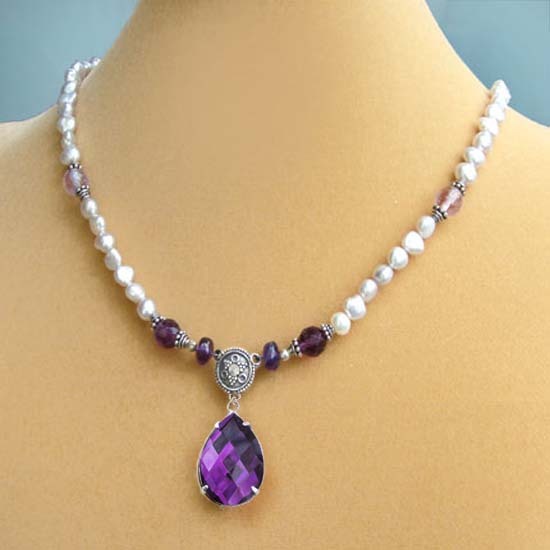 The necklace chain here combines Bali sterling silver, freshwater pearls, and gemstone amethyst rondelles. 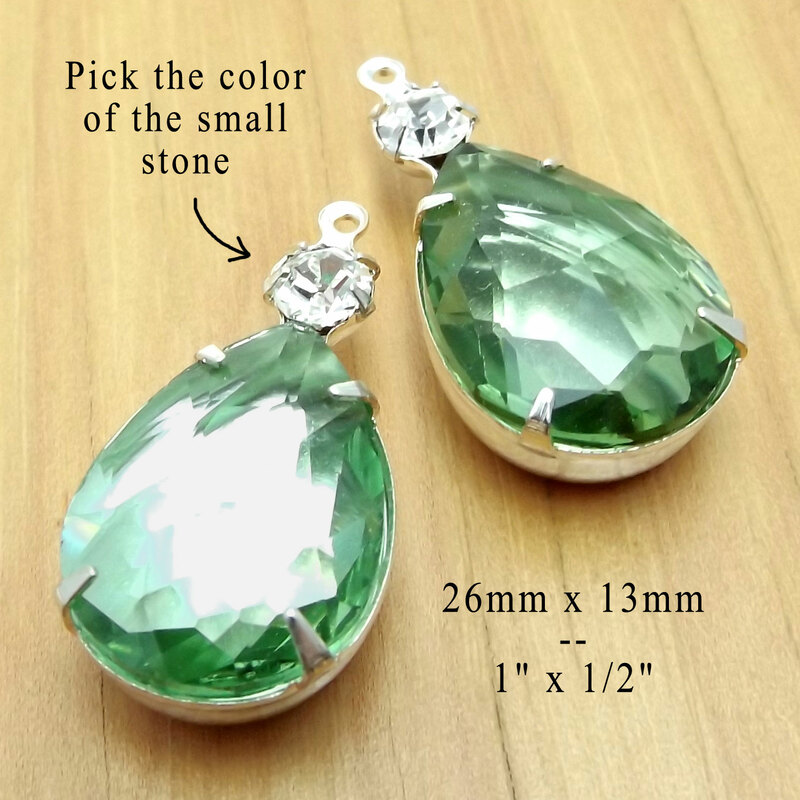 The pendant is a faceted rhinestone (glass) teardrop in a silver plated setting. Both the rhinestone teardrop – and the fancy necklace – look great. They complement each other beautifully. I just want to remind myself (and you too) that nothing is off the table! Use what you have. Combine metals – brass and sterling. 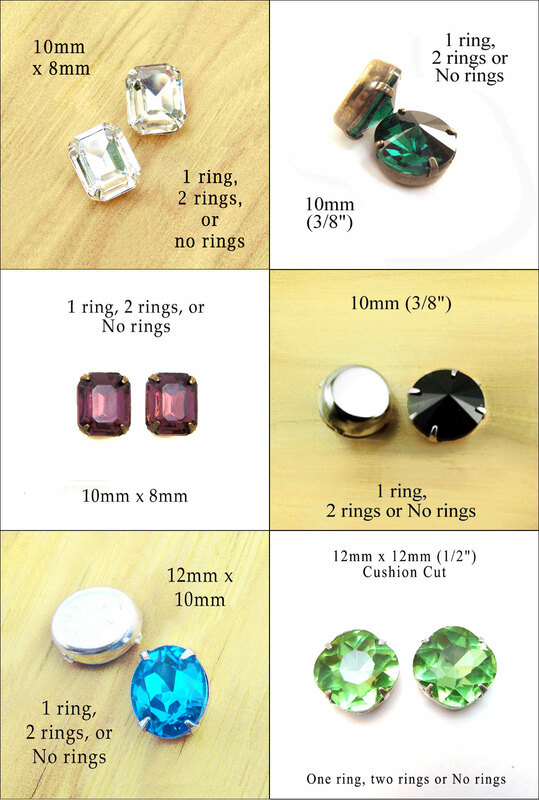 Combine components – glass or rhinestones, and genuine stones and pearls. If it looks good, if you like the combo, you can make it work. It’s YOUR design, it’s your necklace and your creation. It’s all good! 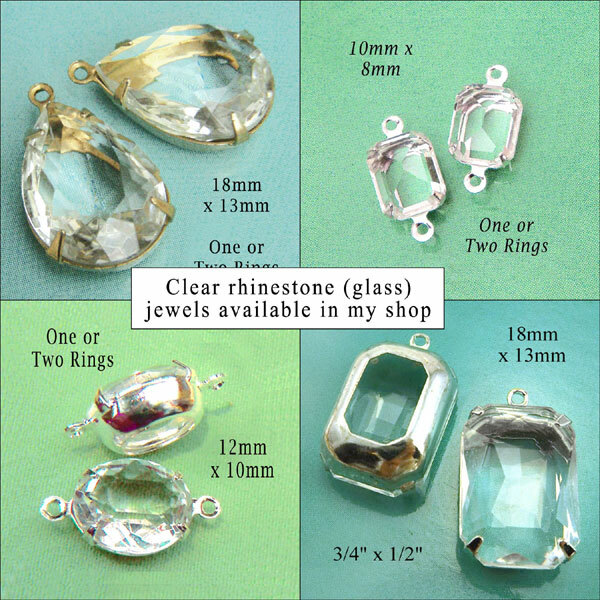 Clear glass gems – on sale! I love clear glass and rhinestones. They go with everything. And it’s so easy to pair them with your favorite color. Add red crystals if you love red-and-white. Add pink pearls in a little cluster. Or maybe amethyst rhinestones paired with the clear glass. You get the idea! (And I’m probably going to add some pics later).